Subscribe to the A.O. 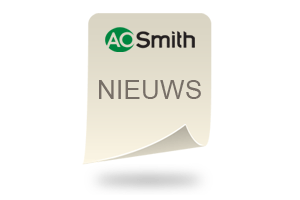 Smith e-newsletter to stay up to date about the latest developments. This subscription is for free and without obligations. The A.O. Smith newsletter appears occasionally, three to four times a year on average. Previous newsletters concerned product introductions, exhibitions and special reference projects. Unsubscribing is possible at any time by clicking the respective link present in each newsletter.